Mumford And Sons (formed in London, 2007) Mumford & Sons rose to fame as a part of the London folk scene that includes artists such as Laura Marling, Noah and the Whale and Johnny Flynn. 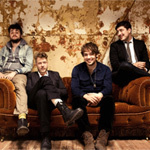 The lineup of the band consists of Marcus Mumford (banjo, vocals, dobro), Winston Marshall (banjo, vocals, dobro), Ted Dwane, (vocals, double bass) and Ben Lovett (Vocals, accordian, keyboard). 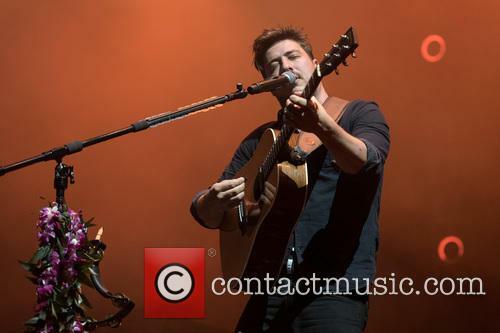 Music Career: After forming in 2007, Mumford & Son's popularity rose, as they toured the following year with support from the likes of Peggy Sue ad Alessi's Ark. At the end of 2008, the band was longlisted for the BBC's 'Sound of 2009' music poll. The poll was eventually topped by Little Boots. 'Little Lion Man' was the debut single from their first studio album, Sigh No More. 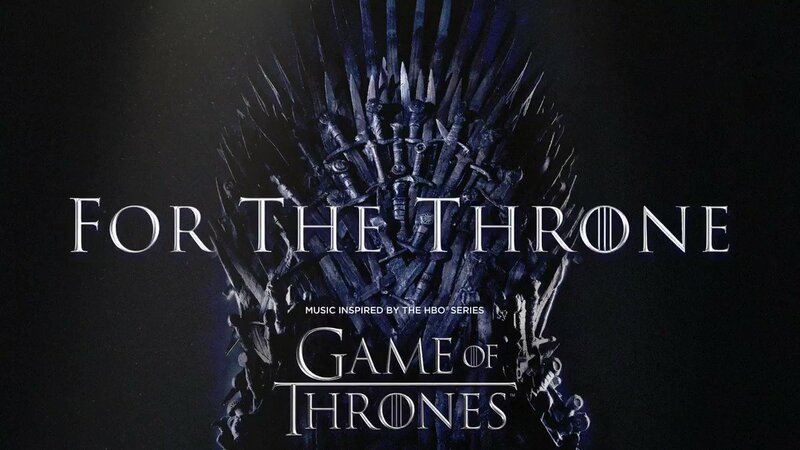 The track was supported by a number of high profile radio DJs, including Xfm's Dave Berry as well as Zane Lowe and Greg James of BBC Radio 1. 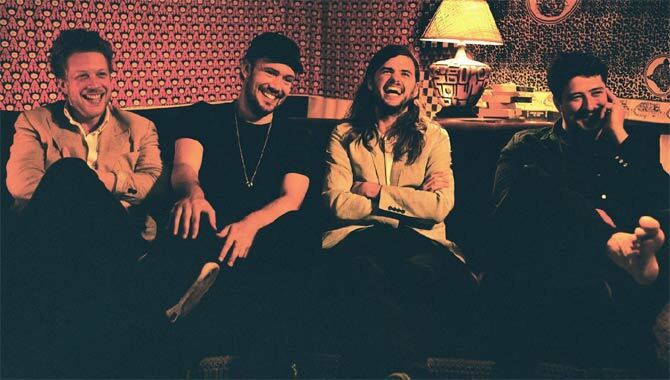 'Little Lion Man' brought the band popularity across the globe, being voted number one in the Australian Triple J Hottest 100 and seeing them perform on The Late Show With David Letterman. 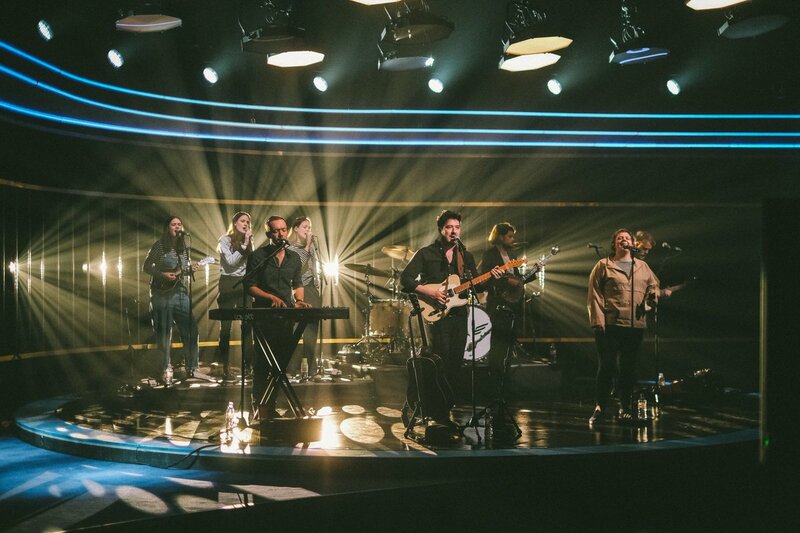 Mumford & Sons also performed The Cave live on The Late Late Show with Craig Ferguson. In October 2010, Mumford & Sons performed live on Later. with Jools Holland with Ray Davies of The Kinks. 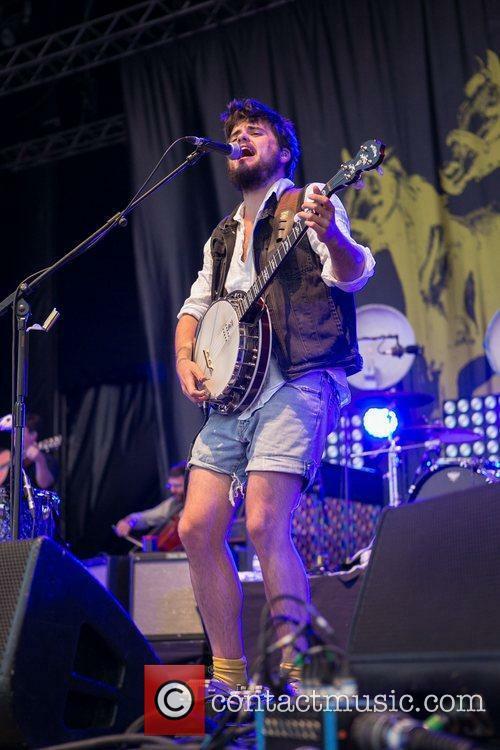 In 2010, Mumford & Sons proved to be hugely popular at the UK's summer festivals, such as Leeds Festival, when the queues outside their tent were so huge that many fans could not get in to see the band. 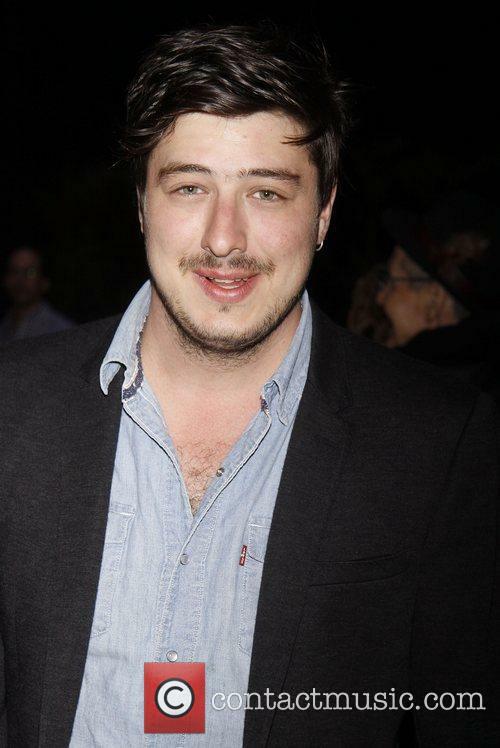 Lead singer Marcus Mumford is dating the folk singer Laura Marling. In 2010, they released an EP entitled 'Mumford & Sons, Laura Marling and Dharohar Project'. In 2012 the band released their second studio album entitled Babel which saw the quartet win a Grammy award for Album of the Year and it quickly became the fastest selling album in the UK. 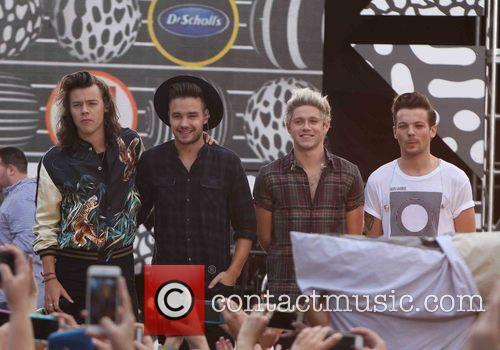 It also debuted at number one in both the UK and the US. 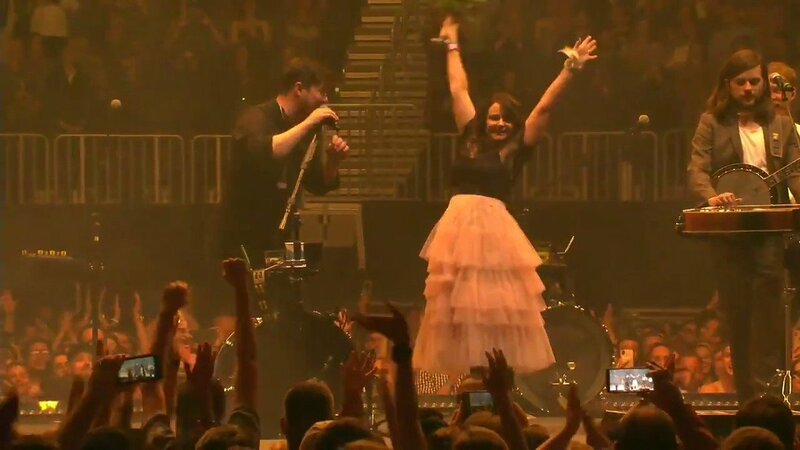 After the release of Babel the band went on a supporting tour that continued in to 2013. During this tour they had to cancel some shows due to the fact that bassist Ted Dwane had to be rushed to hospital, a blood clot was found on the surface of his brain. 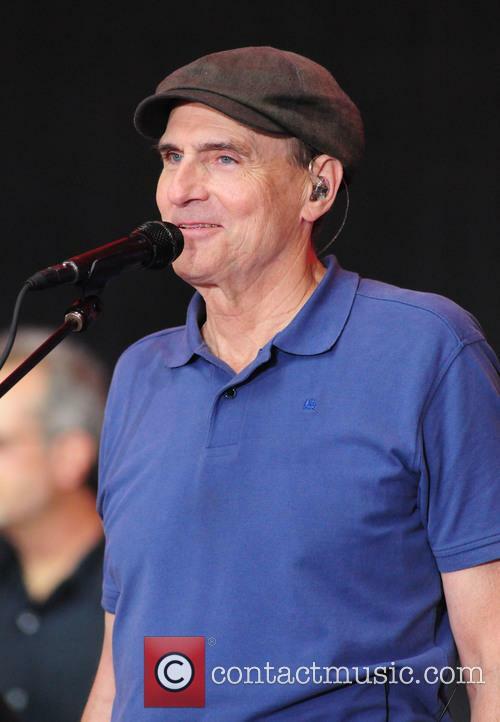 His surgery was successful and he recovered just in time for their headline performance at Glastonbury in 2013. 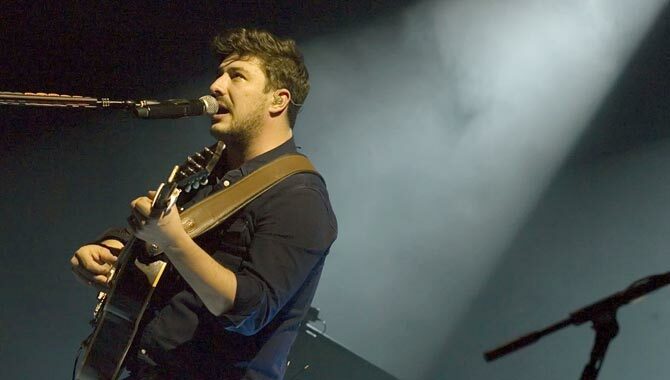 After the end of their Babel tour Mumford and Sons announced that they were to take a five month break from making music and in February 2014 they went back in to the studio to start work on their third studio album. In 2015, the band released their third studio album Wilder Mind which also debuted at number one in the UK and the US. They released two lead singles in the form of Believe and The Wolf which both had success in the charts. Following the release of their third album they headlined Reading and Leeds festival returning for the second time. 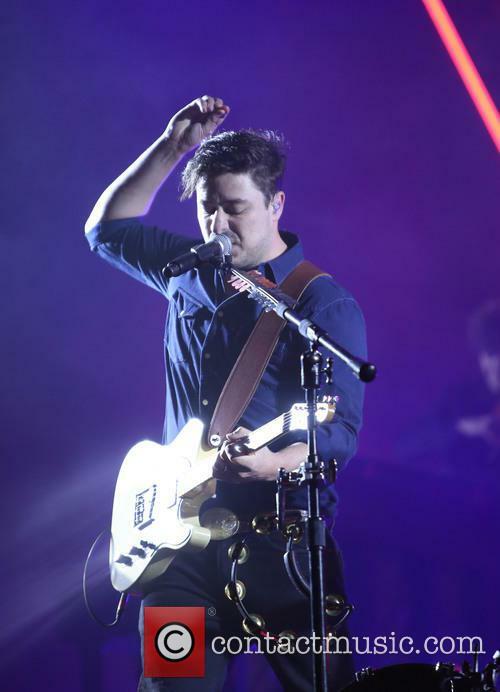 In 2016 Mumford and Sons released a new collection of songs that they have recorded with Baaba Maal, Beatenberg and The Very Best in Johannesburg on their debut South African tour. The tour mates recorded these tracks over two - all day - and all - night sessions as a celebration of the diverse countries that they perform in keeping their performances fresh and alive. The band's fourth album will be released on November 16th, with first single 'Guiding Light' out now. Mumford & Sons have announced details of a new studio album, to be titled Delta, dropping its first single ‘Guiding Light’ at the same time. 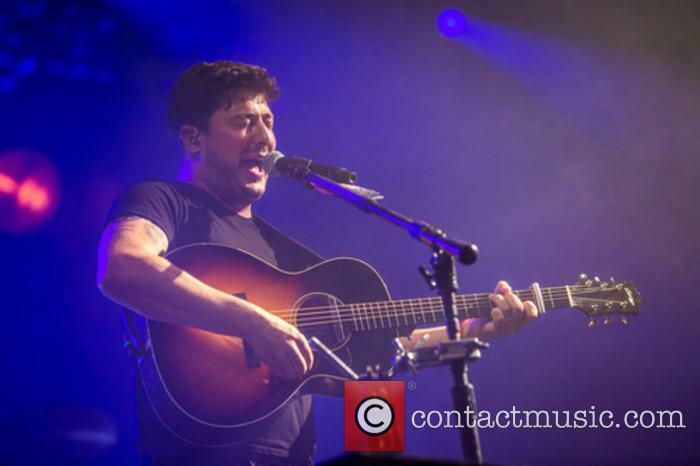 Marcus Mumford was interviewed by Chris Moyles on Radio X this week. 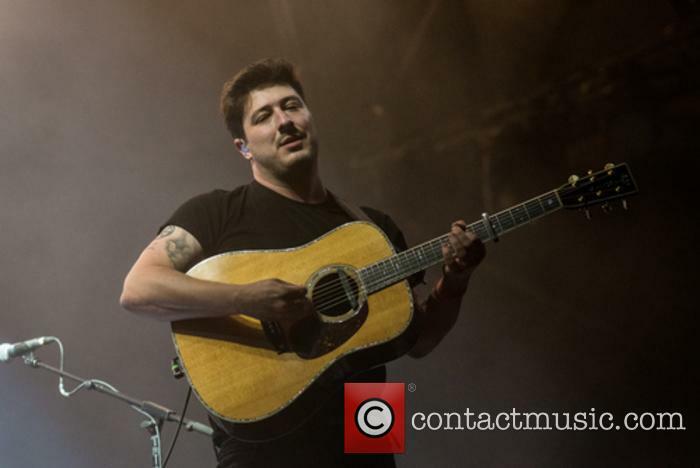 Marcus Mumford, the lead singer of the hugely popular Mumford & Sons, has revealed that he thinks the band’s name is “rubbish” and wishes he and his colleagues had put some more thought into it when they started their career. 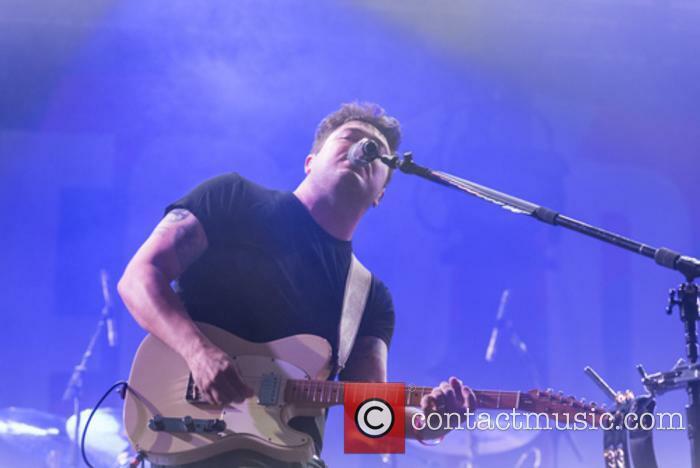 They’ve had three chart-topping albums and headlined festivals around the world, most recently with their 2015 album Wilder Mind, which saw them head more into indie arena-rock and away from the folk influences of their origins. But it seems to be the twee, folksy connotations of their name, which band member Ben Lovett once said had the feel of an “antiquated family business name”, that 29 year old Mumford dislikes as they can’t distance themselves from their beginnings, as he has said in previous interviews. 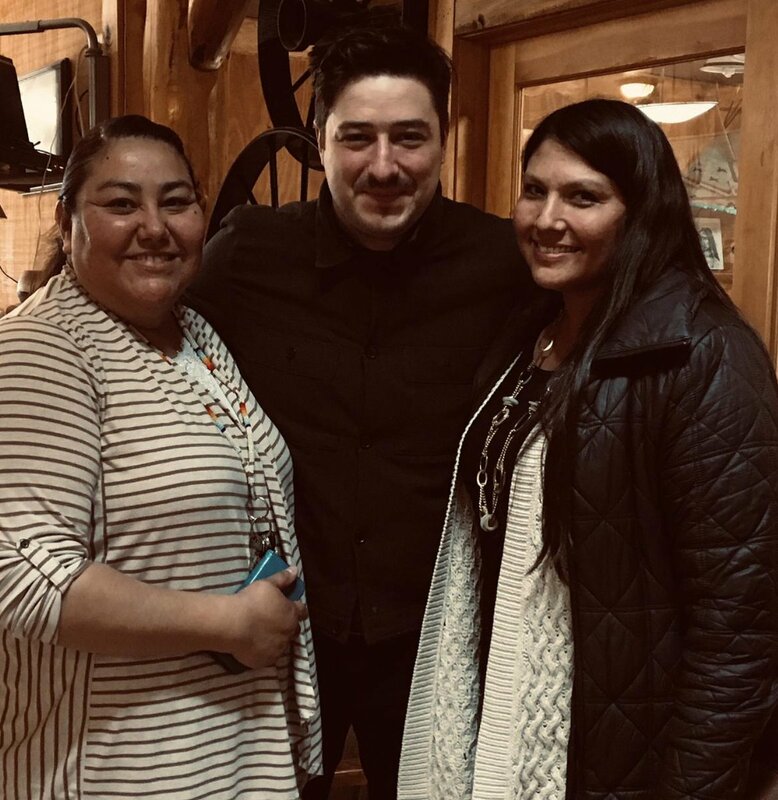 Continue reading: Mumford And Sons' Singer Marcus Mumford Says Band's Name Is "Rubbish"
"To improve is to change; to be perfect is to change often" Winston Chrurchill. Now, that's all well and good, Mr Churchill, but for a lot of people change is something to be feared. After all, why would anyone want to change a winning formula? How easy it would have been for M&S - actually, let's stick to Mumford and Sons - to continue as they were. Continue to don the baggy shirts, the questionable hats, the double bass, the acoustic guitars and, of course, the infamous and criminally underused banjo. Continue to dominate the indie-folk-pop world with their undeniably effective formula of songwriting from albums one and two. "Not on my watch!" shouts Winston Churchill from a lofty height. The awards ceremony, held in Birmingham in December, will also feature Little Mix, Jess Glynne, Mumford & Sons and Hozier. The second annual BBC Music Awards will play host to an impressive list of performers at the end of the year, with One Direction, Ellie Goulding, Little Mix and Mumford & Sons among the confirmed acts. The ceremony, which is being held at Birmingham’s Genting Arena on December 10th, is in its second year after the inaugural awards were held in 2014 at London’s Earl’s Court. Just like last year, the evening will be hosted by Fearne Cotton and Chris Evans and broadcast on BBC One, and the radio stations 1 and 2. More than 10,000 tickets are currently on sale to members of the public. 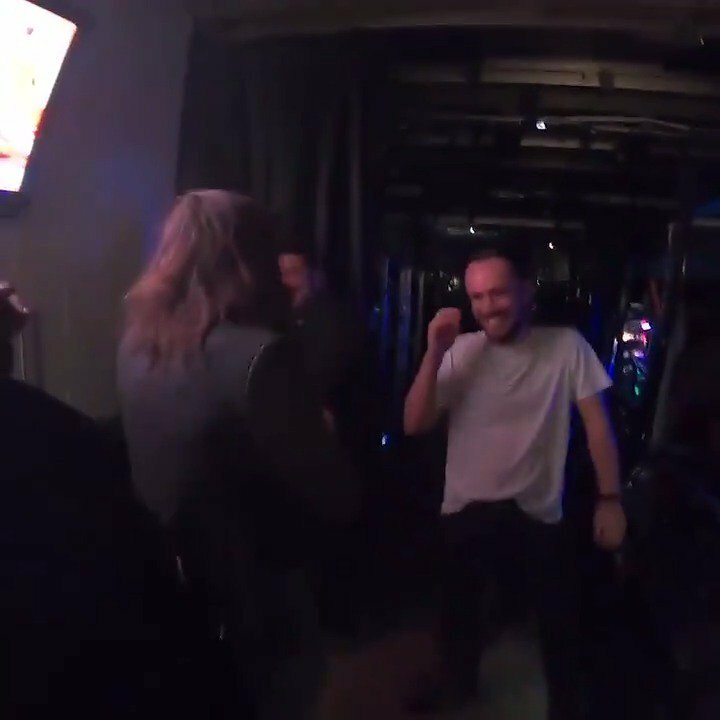 The band celebrated the chart success of their new album 'Wilder Mind' by headlining the Reading and Leeds Festivals, and will be embarking on a tour of the UK's major cities in November. Mumford & Sons capped off their headline set at the Reading Festival 2015 by announcing to the crowd that they’ll be heading out on a more extensive tour of the UK and Ireland this autumn, in support of their third album Wilder Mind which was released back in May this year. He'll also support Mumford & Sons in Europe this summer. In addition to his huge summer festival dates, British singer-songwriter Eaves is set to tour across the UK's major cities in October 2015 with a newly announced headline tour in support of the recent release of his debut album 'What Green Feels Like'. Eaves (aka Joe Lyons) will hit Ballater in Scotland on October 14th and will visit the likes of Edinburgh, Cardiff, Birmingham, Leeds, Manchester and, of course, London where he will play the Bush Hall in Shepherds Bush. 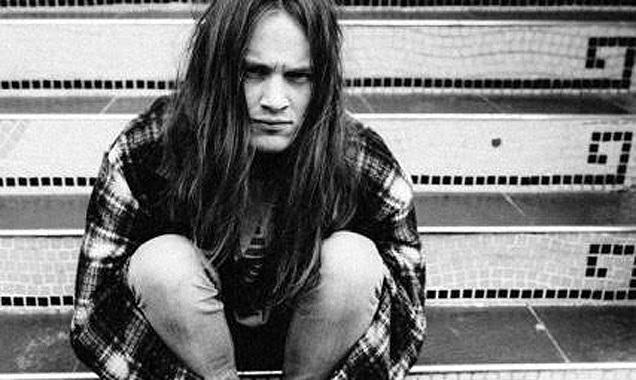 It doesn't seem long ago since he finished his last UK run at London's Sebright Arms, and we're not forgetting his slor at Hebden Bridge's January event, Heavenly 25th Weekend. This week, The Killers frontman dominated the chart all on his own. After taking over London in a series of gigs this week, Brandon Flowers has also conquered the UK Charts. His second solo album, The Desired Effect, now sits pretty at the top of the album chart. It was a close race between Flowers and fellow indie frontman Paul Weller, but eventually Flowers’ album finished 5,000 combined chart sales ahead of the rock veteran. 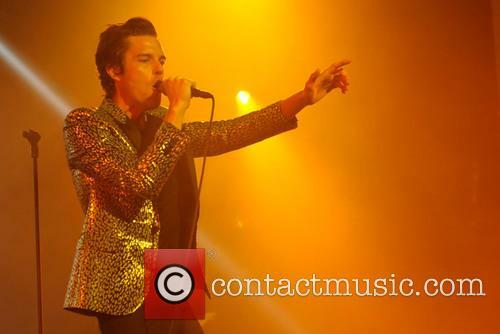 Flowers and his shiny jacket took over the UK charts this week. Flowers played one date in Dublin and two at London’s O2 Academy in the past week. In the next few days, the tour will hit Edinburgh, Leeds and Birmingham.